UM – I kinda love this. The film LEGEND (LEGEND!) Frances Ford Coppola recently launched a canned red wine! 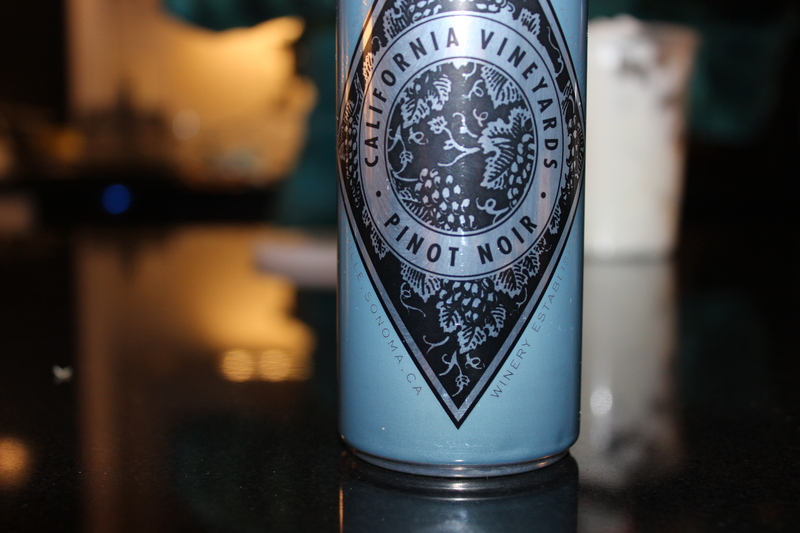 SO CONVENIENT and TRENDY –with a capital T.
Francis Ford Coppola Winery, a trusted leader in premium canned wines and packaging innovation, launches its first canned red wine with the 2017 Francis Coppola Diamond Collection Pinot Noir. Francis Coppola Diamond Collection wine takes its fans beyond the bottle yet again with its refreshing and delicious Pinot Noir that brings versatility through the ease and convenience of cans. This new product builds on the success of three high-quality white wines from the same can collection, including Chardonnay, Pinot Grigio and Sauvignon Blanc that launched last summer. Francis Coppola Winery began producing canned wine in 2002, and in 2004 launched the canned wine category with the debut of the stylish Sofia Minis in an effort to make premium wine more convenient. During the last decade, the canned wine category has grown rapidly into a phenomenon as consumers flocked to this option for portability and ease. The Francis Coppola Winery differentiates itself from competitors through uncompromised winemaking integrity and consistent signature flavor profiles portrayed in the can, embracing the distinct award-winning wines that consumers recognize. So? How is it you ask? Delish. I thought it came from the bottle.